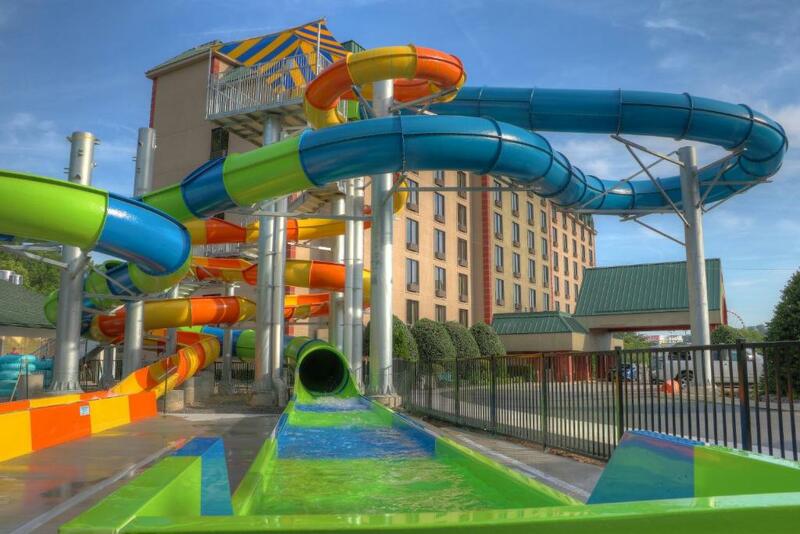 Lock in a great price for Country Cascades Waterpark Resort – rated 8.9 by recent guests! We looved everything! The breakfast was great. The pools were awesome ! Outdoors waterpark! Thank you for having a toddler/lil kid play waterpark! The room looked bigger in pictures. The staircase was rickety and scary. OMG I loved just about everything!! The breakfast was delicious very well stocked and Bill the breakfast attendant was so cheerful and helpful 1st thing every morning!! The staff was very helpful and accommodating with everything down to more blankets delivered right to my room late at night! It’s close to EVERYTHING AND THE POOLS ARE AMAZING. Loved the fact that they stay open late so even after we did some other things we could come back and swim again! The rooms were very clean and well stocked!! I will definitely be going back!! 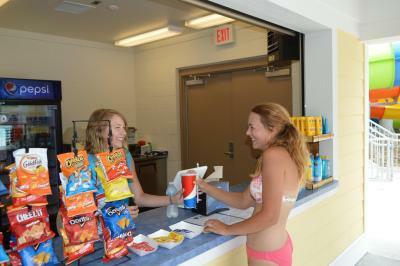 The staff was friendly and everything was organize. 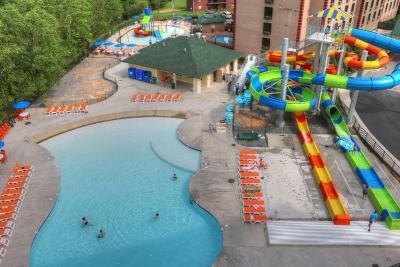 Country Cascades Waterpark Resort This rating is a reflection of how the property compares to the industry standard when it comes to price, facilities and services available. It's based on a self-evaluation by the property. Use this rating to help choose your stay! 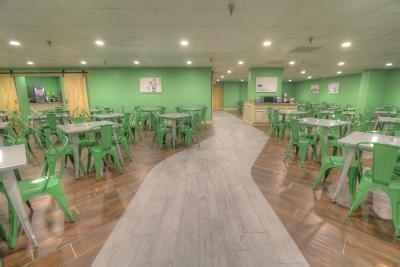 One of our top picks in Pigeon Forge.Featuring a glass-enclosed indoor pool facility, this hotel is located in the heart of Pigeon Forge, Tennessee. 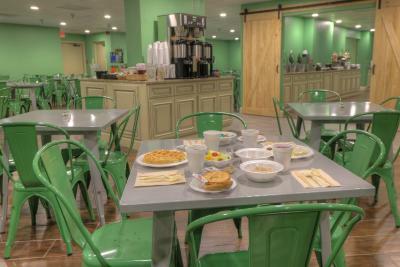 Free WiFi and a daily buffet breakfast are provided. A microwave, refrigerator and coffee-making facilities come standard in each room at Country Cascades. 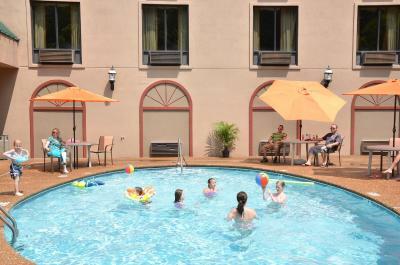 Every room is equipped with a flat-screen cable TV, and ironing facilities. 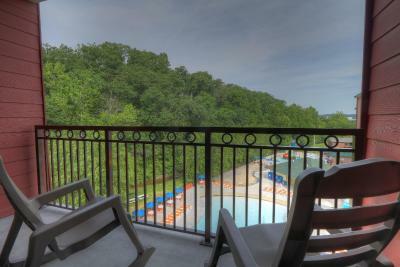 A hot tub and a seasonal outdoor pool and water park are open to all guests of the Cascades. 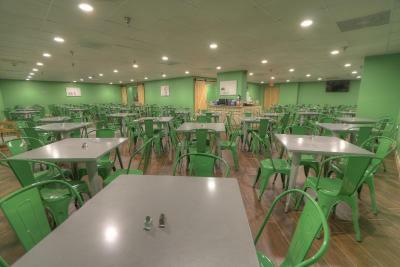 A fitness center and a computer station in the lobby are also available. The front desk staff is happy to suggest local wineries and restaurants. Dollywood is 10 minutes' drive away while The Winery at the Old Mill is 4 minutes' drive. 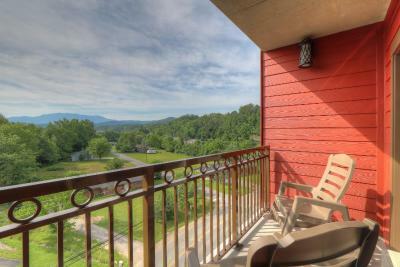 The Island in Pigeon Forge, a shopping and entertainment center, is 0.7 mi from the hotel. 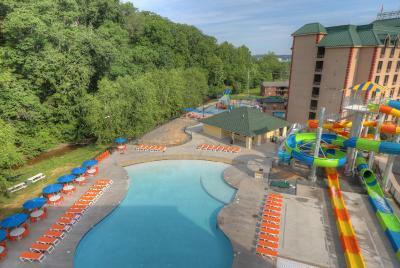 When would you like to stay at Country Cascades Waterpark Resort? 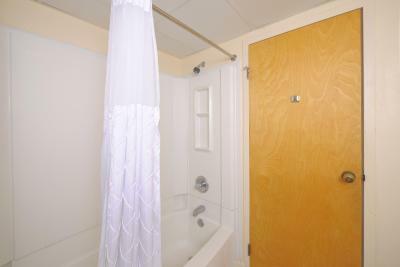 This room includes a microwave, refrigerator and coffee-making facilities. A cable TV and ironing facilities are included. 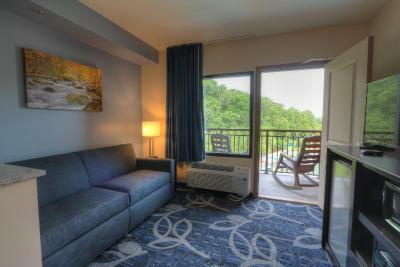 This suite has a bedroom with a separate sitting area and a seasonal fireplace. 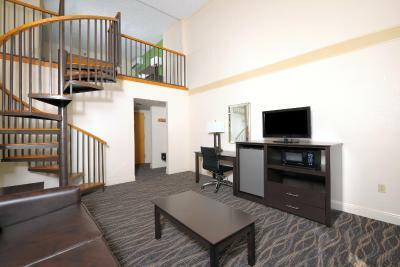 Located on the top level, this penthouse suite features a split room design in the upstairs. There is a partial wall between the 2 beds. Elevator access is available to the suite. 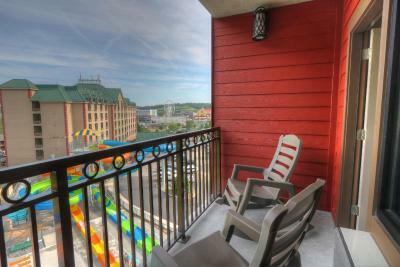 This balcony suite has a view of our outdoor waterpark. This balcony suite has a non-poolside view. 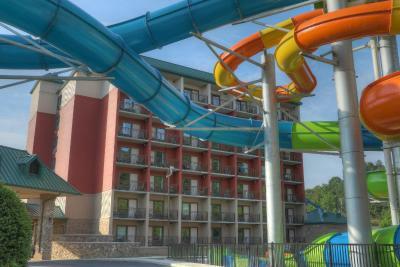 House Rules Country Cascades Waterpark Resort takes special requests – add in the next step! Country Cascades Waterpark Resort accepts these cards and reserves the right to temporarily hold an amount prior to arrival. 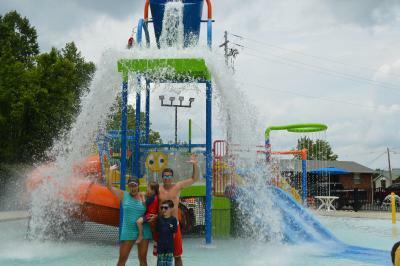 Please be advised the property water park is open on a seasonal basis (weather permitting) from mid-March through September. Please call the hotel directly concerning dates outside this range. Please note that a maximum of 8 rooms may be booked by a guest at one time. Contact hotel for details. The properties require the credit card holder to present proper ID and the credit/debit card used to pay the first night's deposit at check-in. Please note that parking during car shows is limited to 1 parking space per room. Contact the property for more information. If the card holder will not be present at check-in, the property requires that the credit card holder complete a Credit Card Authorization form to be sent in advance of arrival. I really didn’t like that y’all didnt have a toddler pool inside for the lil kids. Everything was together in one place. The bed mattress need to be replaced. I had back acks every night sleeping on them. The hot tub needs to be worked on. After driving one would like to rest in the hot tub but there are no jets with water shooting out. Everything eles was great. Great location for walking and almost in the middle of all the rides games and fun. The pool was aswom all was heated. Everyone was amazing. The breakfast was awesome! !